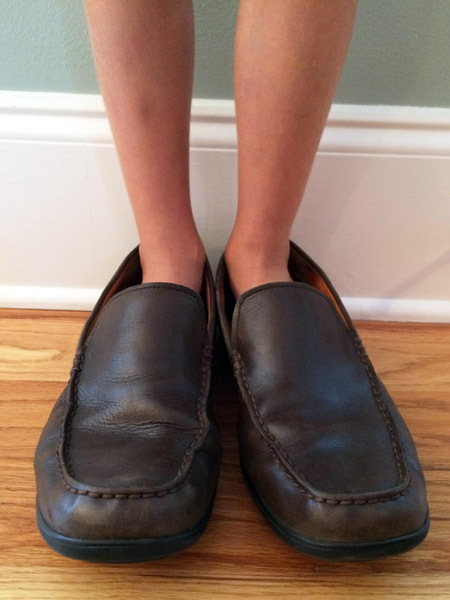 When my grandsons try to walk in their dad’s shoes there is a lot of giggling and tripping as they struggle to keep their feet inside the shoe and actually make forward progress. It isn’t easy filling a big pair of shoes. 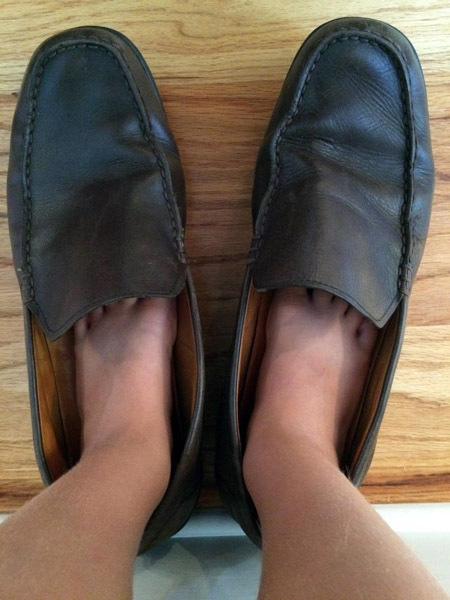 As much as the boys enjoy clunking around in dad’s shoes, they simply don’t fit and the reality is, it can be quite risky. However, it is not nearly as dangerous as when we try walking in God’s shoes. Why would anyone want to wear God’s shoes? Well, when God is small, someone has to take on his role, right? It has been said that if we had God’s power, oh, the things we would do, but if we had his wisdom, we wouldn’t change a thing. Trying to walk in God’s shoes, and taking on his roles, assumes we have both his wisdom and his power. We have neither. When God is small, fate and chance must be big, and we live as though our circumstances are random. We feel helpless and worthless. We heap the burden of our happiness and fulfillment onto the shoulders of people we love and then we live in resentment when our needs are not met. When God is small, we think we must be strong, but instead we live in fear of today and tomorrow. We are afraid to commit to people, jobs, ministries, churches or anything else. We are afraid to take a stand. We are afraid to look different. We are afraid to be bold. There is no one to catch us if we fall. When God is small, we begin to think we are the only one who can fix things and when we can’t, we are anxious and never at rest. We run ahead of a small God and make terrible messes of our lives. We waste the day and much of the night scheming and plotting to get ahead or get our way. Our spirits long for quiet. When God is small, we are afraid to trust anyone but ourselves. Therefore, we settle for small unfulfilled relationships while we desire so much more. We are afraid to be vulnerable and and we hide our deepest sorrows, hopes and dreams. When God is small, there is no one to pray to, so we don’t. We assume a small God is too busy trying to fix all the big things and doesn’t have time for us, doesn’t care about us, or simply doesn’t see us. When God is small, we try to figure out ways to save ourselves. There is no security in our salvation. Does this describe you? Open your eyes and look down – whose shoes are you trying to wear? God is not small! Open your eyes and look up! A big God establishes worth. A big God alleviates fear. A big God calms anxiety. A big God is trustworthy. A big God hears and answers prayer. A big God is salvation. If your God is small, is it because you have usurped his role in your life and made him small? Today would be a great day to step out of God’s shoes and relinquish them back to God. Will you step back and let God be the big, mighty, majestic Almighty God that he is? God will do his work. We just need to let him.